Employment lawsuits are continuously on the rise. The Internet has created a vast resource for employees to gain greater awareness of their rights. Disgruntled employees are often times the target of Internet marketing by attorneys seeking to gain a niche in the fast growing employment litigation arena. From an employer’s perspective, litigation is risky, exposing employers to the potential for unexpectedly large judgments decided by a jury made up of individuals who are most likely someone’s employee. Litigation is also an extremely slow process that can drain financial and emotional resources even before a judgment is reached. Wage and hour class action lawsuits brought under the Fair Labor Standards Act (FLSA) have similarly been on the rise and significantly increase the risks to employers due to the potentially large number of claimants in such cases and the possibility of multiplied damages under the FLSA. Arbitration is an alternative dispute resolution process that may relieve some of the downside of court litigation. When presented to arbitration, the dispute is resolved by a neutral arbitrator whose decision is final and binding and cannot be overturned by the courts except in extreme circumstances. Arbitration is generally quicker, less public, and in many cases less expensive than traditional court litigation. Parties must generally agree in advance to resolve their disputes by arbitration, so employers interested in arbitration can ask their employees to sign a mandatory arbitration agreement. Importantly, a properly drafted arbitration agreement can also include an agreement by the employee to waive his or her right to join a class action under the FLSA. Arbitration and class action waivers are still relatively new in the employment context. As such, the enforceability of agreements for mandatory arbitration of employment disputes and the class action waivers contained therein are still hotly contested. The recent trend in courts around the country, however, is to uphold agreements to arbitrate employment disputes, provided they are drafted and executed in a manner that is fair (or overly favorable) to employees. It is crucial to make sure that these arbitration agreements comply with current law as it is continuously changing. Often times, improperly drafted arbitration agreements cause employers to spend time and money litigating the validity of the arbitration agreement itself before even getting to the dispute. Such litigation undermines the intended purpose and benefit of the arbitration agreement. In order to be enforceable, an arbitration agreement must be a valid contract. Therefore, employers must take care in drafting the agreements as well as in implementing and executing the agreements. The validity of mandatory arbitration clauses is largely a question of state law and employers with employees in multiple states must consider these state law nuances when drafting mandatory arbitration agreements. While it is still unsettled law in many states, courts around the nation are increasingly upholding the validity of class action waivers in employment arbitration agreements. Several circuit courts have determined that there is no substantive right to class or collective actions and that the FLSA does not forbid class action waivers. By signing a class action waiver, the employee agrees that to the extent he or she has a claim under the FLSA, he or she will bring it directly against the employer and not as part of a larger class. This reduces the likelihood of frivolous claims and eliminates some of the risk to employers created by having to defend a potential class action. The National Labor Relations Board (NLRB), however, has determined that class action waivers in mandatory arbitration agreements violate the National Labor Relations Act (NLRA) because it forces employees to waive their right to join together to challenge company decisions. The 5th Circuit recently overruled the NLRB’s decision, but the decision is not binding on the NLRB in any other circuit. As such, we may still see challenges from the NLRB in the future. Given the national trend (despite the NLRB’s position) to uphold class action waivers, employers should consider adding these waivers to their arbitration agreements to avoid costly and potentially catastrophic class action litigation. If employers do choose to include class action waivers, they must take care in drafting this provision to best position themselves against any legal challenges, again, taking into consideration any individual state law nuances. Employers may also consider implementing mandatory arbitration agreements with the unions that represent their employees. Several courts have held that if a union and an employer agree in their collective bargaining agreement (CBA) to resolve disputes through arbitration, such an agreement is binding on the union-represented employees. Courts reason that as long as the CBA expressly retains the statutory rights of employees, employees are only waiving their right to a judicial forum and not the rights that are protected by the statute. If employers do choose to add a mandatory arbitration provision to a CBA, they should make sure to clearly and specifically identify the types of disputes that are subject to arbitration. Otherwise, a court may decide that a particular statutory claim is not covered by the agreement and compel the employer to litigate the claim in court. 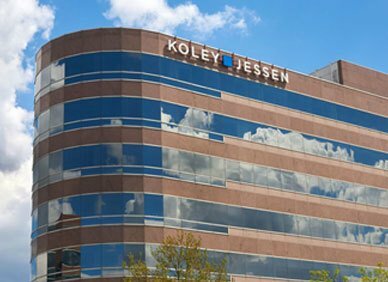 If you have questions about drafting arbitration agreements or adding class action waivers, or would like to discuss any other workplace issues, please contact a member of the Koley Jessen Employment, Labor and Benefits Practice Group.